As I exited City Hall where I had just voted ‘Yes’ on a referendum to build a new neighborhood school in my hometown’s historically black ward, a grad student shoved a clipboard into my hand and asked me to complete a survey. I already intended to write this post and explain my vote to anyone who might care. The survey drove home the need. The survey inquired whether I consider it important that all students attend schools of similar “quality.” I do. However, I do NOT consider test scores to reflect the quality of a child’s education. The schools in the wealthiest pockets of my hometown unsurprisingly have the best average test scores. However, not all of the students at those schools receive what I consider an excellent education. My sons knew and know the names and faces of the teachers in their elementary school’s halls and the parents on the playground. Why? The parents on the playground also appeared at the block party. The teachers still drive past my older son on his walk to and from the middle school a mile away. They and we form the fabric of a community. The students who file off the bus in the morning miss this immeasurable, invaluable bond to their classmates. Those children that concern everyone most (or so I hope) hail from a neighborhood where well-intentioned efforts at integration dissected a community and literally drove its children away for the critical years of their youth. 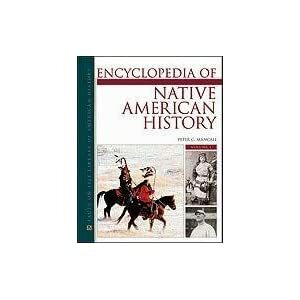 As a historian of education, I place busing lower-income black children to wealthy white schools on the same continuum (thankfully not as shockingly abusive) as removing Native American children from their homes to guarantee they got a ‘better’ education at Bureau of Indian Affairs boarding schools. When the Reformation opened the possibility of literacy to the masses in Europe and when the Northwest Ordinance attempted to create systematic institutions from scattered settlements, neighborhood schools lay the foundation for a better future. In the sixteenth century and the eighteenth century, as now, perfection proved elusive. Some children had to walk further than others. Some children stayed home to labor with their hands. Parents complained that teachers wanted too much money and taught the wrong subjects. Teachers complained of too little pay and too little respect. Mr. Rogers, the popular PBS pedagogue of my youth, sang a ditty for preschoolers, “the people we like the most can make us the angriest.” His premise proves true for neighborhood schools as well. Everyone knows everyone else and thus we irritate each other with greater efficacy. I’ll take that over the stony silence of strangers any day. Nothing pains me more at my neighborhood school than the sight of the parents who can attend events rarely and thus stand awkwardly apart from the communal chaos. I voted ‘yes’ for a city that values all of its neighborhoods. I voted ‘yes’ for children at home in classrooms over which they feel ownership. I voted ‘yes’ for ‘quality’ schools committed to cultivate comfortable, confident, and academically able adults. This entry was posted in Academic Life, Biography, Diversity, History, Motherhood and tagged Bureau of Indian Affairs, desegregation, Mr. Rogers, Native Americans, PBS. Bookmark the permalink. Thank you Ms. Pardoe. We value and applaud your vision, your voice and your support for neighborhood schools for all Evanston children.